By submitting your information, you consent to receive all forms of communication including but not limited to; phone, text, email, mail, etc. Message and data rates may apply. Consent to these terms is not a condition of purchase. You may opt-out at any time. Only 6 SE models left in stock! New vehicle pricing includes all offers and incentives. Some APR incentives may combined with additional incentives. Tax, Title and Tags not included in vehicle prices shown and must be paid by the purchaser. Prices do not include additional fees and costs of closing, including government fees and taxes, any finance charges, $687.83 dealer doc fee, reconditioning, any dealer installed accessories, any emissions testing fees or other fees. May exclude certification fee. All prices, specifications and availability subject to change without notice. All prices with approved credit. Price may increase $1,500 to $2,500 when paying cash. Loyalty, Trade-In, Military and other qualified rebates and incentives are specific to certain models for a limited time and may not combine with other incentives, A.P.R. or lease specials. While great effort is made to ensure the accuracy of the information on this site, errors do occur so please verify information with a customer service rep. This is easily done by calling us at or by visiting us at the dealership. EXCLUSIVE LIFETIME WARRANTY! !, Mention this advertisement to the dealer to receive the advertised price., Black Cloth. 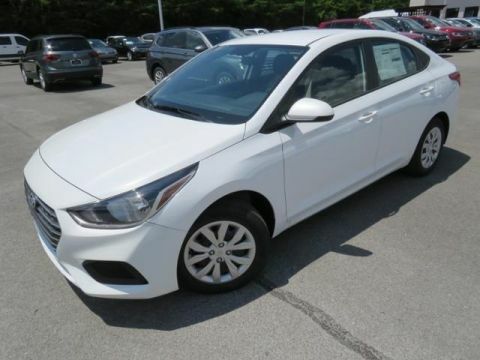 2019 Silver Metallic Hyundai Accent SE 6-Speed Automatic with Shiftronic FWD 1.6L I4 DGI DOHC 16V Priced below KBB Fair Purchase Price! 28/38 City/Highway MPG ALL New Vehicles Come with our Exclusive LIFETIME Powertrain Warranty. No Limit on Time or Miles! 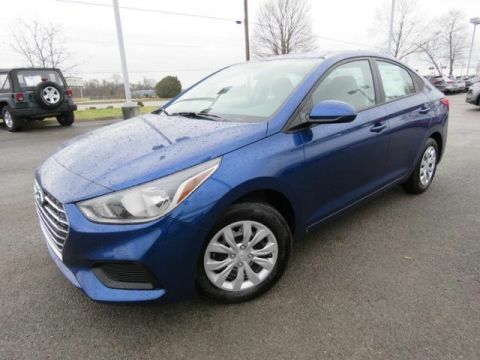 If you’re in the market for a new or pre-owned vehicle and you want a dealership the follows through on its promises of quality and commitment, come to Murfreesboro Volkswagen Hyundai. 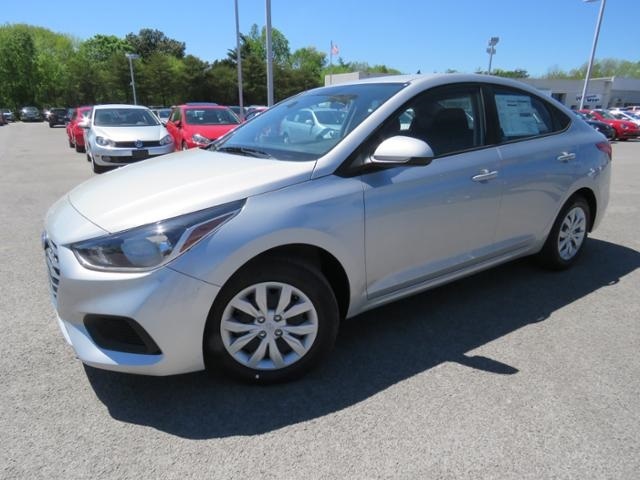 Between our large new Volkswagen and Hyundai inventory and our hand-selected variety of pre-owned cars, you’re sure to find what you’re looking for. We’ll go our of our way to make sure you find the vehicle you want and can even drive it to you for a test drive within 50 miles of the dealership. 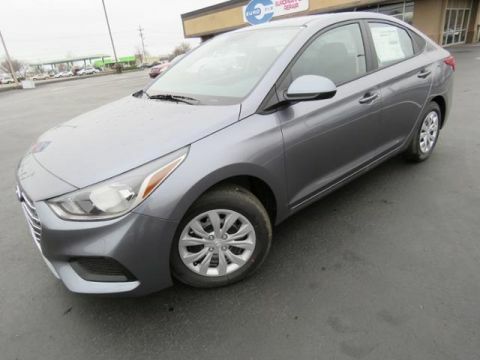 Murfreesboro Hyundai Volkswagen	35.882303, -86.4315059.